Is Secularism at a Crossroads? India was always a haven of religious tolerance from time immemorial although it has been only during the last 67 years of its existence as an independent nation, free from the colonial yoke, that Secularism has been the nation’s official policy. Sanatana Dharma of ancient India did not discriminate between people of different faiths, whereas it has always envisaged the whole world as a global family (Vasudhaiva Kutumbakam). The lesser known Tamil poet, Kaniyan Poonkundranar, of the Sangam Period (3rd century BC to 4th century AD) always viewed the whole world as his dwelling place and all thoseresiding in such a vast homestead as his kin. He outrightlyrejected the division of mankind into different categories and emphasized on the universality of all men. In addition to the prevalence and popularity of lofty thoughts such as universal brotherhood, India has given birth, throughout its long history, to several major religions like Buddhism, Jainism and Sikhism, which have coexisted in total harmony with Sanatana Dharma. Zoroastrianism (Parsi religion) which was uprooted from its birthplace of Persia consequent upon its persecution by Islamic fundamentalists, took shelter in India and has been doing well for itself till today. 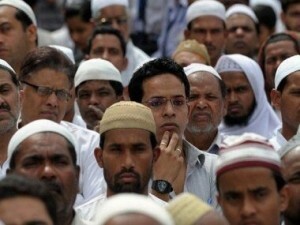 There is a popular belief among non-Hindus worldwide that Hindus are tolerant, calm, harmonious and peace-loving people. The 17th century French philosopher Voltaire was a strong votary of this belief. He was of the view that the West was indebted to the East for the latter’s most precious gift of the Vedas. 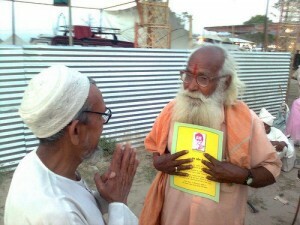 He regarded Hindus as a “peaceful and innocent people, equally incapable of hurting others or of defending themselves”. He was himself a supporter of animal rights and a vegetarian. He acknowledged that the Hindus’ treatment of animals showed “a shaming alternative to the immorality of European imperialists”. Hindus are the first ones who would readily agree with Voltaire’s pithy assessment of their nature. Never in history have they waged a war on a State or people, within or outside India, in the name of religion. Bound by tall insurmountable mountain ranges and hostile terrain on the North and by sea on the other three sides, Hindus had lived in total harmony and led a cloistered, contended and peaceful life, free from external threat, for a fairly long period of time in history. Native religions like Buddhism and Jainism never posed a serious threat to Hinduism, which assimilated the salient features of those religions and emerged as an inclusive body of faith. By doing so, Hinduism deflected their challenge to its unrivalled spiritual supremacy in the subcontinent. The influence of Hinduism in East Asia was achieved by means of cultural and trade diplomacy and never by military campaigns. This situation lasted till the 12th century when Muslim invaders struck at the heartland of Hindustan and changed the rules of the game. The killings, desecrations, lootings, pillages, forcible religious conversions and, above all, the religious intolerance exhibited in the form of massacre of tens of thousands of Hindus and followers of other native faiths who had refused to abandon theirreligion and convert, had been unimaginable and incomprehensible for the Hindus who had always considered their own survival and that of their religion as a case of mind power over matter. Hindus had always considered that life on earth was truly ephemeral in nature and that the soul was on a perpetual journey, not bound by concepts of time, place or physical constraints, to a state of self-realization or liberation. Conquest of the hearts and imagination of people of other religions, atheists and agnostics, entirely on the strength of their own religious ideology, was their preferred form of interaction with people who were not on the same page as they were. Winning over someone to their side by the might of the sword and preventing the flock from going astray by instilling the fear of torture or death was downright repulsive an idea that had no place in the lofty principles and beliefs that the Hinduscherished. Hinduism does not promote or talk of proselytization. Nor does it mandate its followers to “spread the word of God”. Christianity made its advent in India in a big way in the 17th century with the arrival of the European traders and colonialists. The spread of Christianity in India was achieved using a mix of factors like force, deception, state support, inquisition and persecution of Hinduism and other native faiths. The combined might of the Mughal Empire and European colonialists could not wipe out Hinduism despite the horrendous genocide wrought by the Muslim invaders, arguably the biggest and the worst of its kind in living memory, inquisitions by the European colonialists, and large numbers of mass conversions of Hindus forcibly carried out from time to time. What is the secret of the survival of the Hindu religion,especially when its followers are a tolerant, peace-loving and harmonious people, not known for a wily war craft or Machiavellian statecraft? It was their unflinching faith in their Dharma, which they believed would protect them so long as they sincerely observed it, that enabled them to carry on despite the odds, hardships, unwarranted criticisms, ridicules, humiliations and downright hostility and massacres. Even after India attained independence from British rule, the minority religions of Islam and Christianity found a fertile ground for growth in the country under the patronage of the State in the name of Secularism, which is an official policy of the Indian government. Freedom of the individual to practise the religion of his choice was guaranteed by the Constitution. Different religious groups were granted the rights to profess and propagate their faiths among the people, run their educational and religious institutions as per their religious tenets. Muslims have been allowed to have their own personal law under Sharia. Islam was planted forcibly on the Indian soil by Muslim invaders and Christianity by European missionaries and traders. Aggressive means and methods such as propagation and conversion, which had been unheard of in India till the advent of these religions, were adopted as marketing strategies. In the normal course, tribals and people of other weaker sections of the Hindu community living on the fringes of society were targeted for proselytization. And in certain cases, people of entire villages were converted. Being a totally unorganized religion, Hinduism never believed in keeping its flock together under a central command. In fact, followers of Hinduism living in different parts of our country have always enjoyed the freedom of offering prayers and worship to the deities of their choice in conformity with the unique and individualistic cultural practices of their regions. Having never been subjected to the straightjacket of religion earlier in their life, they were systematically lured and enticed with pecuniary benefits and, not infrequently, coerced through societal pressure into converting to the new religions. Congress, Communists and other Opposition parties have proved adept at playing vote bank politics and playing the reservations card among the Dalits, OBCs and other socially and economically weaker sections among the Hindus. The nexus of the Congress-led parties who profess Secularism but actually promote pseudo-Secularism for their own narrow and selfish political ends on the one hand and the religious and political organizations of Islam and Christianity with a vested interest in promoting those religions on the other, has been unfairly targeting BJP for pursuing a “saffron agenda” and flagrantly promoting the interests of Hinduism. In their attack on BJP, RSS and the other Hindu organizations like the VHP and Bajrang Dal, the Main Stream Media (MSM) has willingly played a big role by supporting these pseudo-secular parties. Although BJP is in power at the Centre and is committed to defending the interests and improving the welfare of the Hindu community, as it forms the main plank of the country’s demography, the party is hamstrung by the limitations imposed by the Constitutional provisions and the cruelty of numbers in the Parliament. With the BJP-led National Democratic Alliance coming to power in India, there has been a major shift in the perception of the Government of India with regard to its policy on Secularism. Since BJP has strong moorings in the Hindu organization of the RSS, the Sangh Parivar units like the VHP and the Bajrang Dal have felt upbeat and have accordingly initiated activities to give shape to their theological ideas and beliefs. This in turn, has given impetus to calls for construction of Ram Mandir at Ayodhya, ‘Love Jihad’, ‘Ghar Wapsi’, etc, with BJP MPs like Yogi Adityanath and Sakshi Maharaj vociferously supporting the calls. In the meantime, politically appropriate statements had to be issued by BJP leaders and spokespersons to undo the damage caused by these calls. Sadhvi Niranjan Jyoti, who is a Minister of State in the Modi Cabinet, made a controversial remark about Opposition parties, which was perceived to be communal in nature. Subsequently, in the face of a strident protest from the Opposition parties, she retracted her statement. Another raging controversy that is currently being debated in political circles is the issue of passing legislation against conversion. Prime Minister Modi, who has asked BJP leaders not to make statements out of turn, has himself maintained a stoic silence over the controversial statements issued by his party colleagues and has preferred to focus on matters of development and administration. Although his silence has been criticized by leaders of the Opposition parties as well as political commentators, Modi has steered clear of all controversies. His strategy has been to avoid controversies that could give rise to communal confrontations, while also keeping his partymen in check and not allowing them to aggravate the situation. Fortunately, this strategy has paid off. However, it may appear that the BJP has lost some of its cutting edge as a progressive party totally focused on developmental programs. In contrast, Congress and its allies have continued to play the communal card rather than projecting economic and social policies for the development of the country and its citizens. Some sections attribute BJP’s inability to win a single seat from the Kashmir valley in the last Assembly elections to the loss of its cutting edge. But, given the unique position of the State of Jammu & Kashmir in national politics, BJP’s inability to persuade the people of Kashmir valley to pin their faith on the national party in the face of hostility from the local political parties and terrorist activities by extraneous forces, was not totally surprising. BJP may still need to cross some impediments before it is able to convince the people of Kashmir that their future is safe only when there is a seamless transition of the State from the insular politics currently being practised to the mainstream national life, a source of immense strength and national pride. Although Secularism is an Article of Faith for BJP as the ruling party of the country, it cannot help noticing the steady erosion of credibility of the doctrine in the Indian context. With the export of terrorism by the country’s hostile and meddlesome northern neighbour, Pakistan, which has been sheltering and actively supporting a host of jihadist elements, and the terrorist organization Islamic State already casting its ugly shadow on Afghanistan and Pakistan, the people of India have reasons to have fears over the inability of the ever-so-brittle doctrine of Secularism to unite all sections of the people, cutting across religious and communal barriers. This has been made further hollow by the scheming and conniving Opposition parties by playing to the gallery with pseudo-Secularism and promoting their vote bank politics, in the face of terrorism at home as well as external threats from sinister international forces. People, at an individual level, are already contemptuous of and highly cynical about India’s experiment with Secularism to the extent of their coining a new word “Sickularism” in the Social Media to replace the pseudo-Secularism that is being practiced in India currently. The fear of the people regarding the inadequacy of Secularism, no matter how ill-founded it may prima facie appear, requires to be collectively addressed by the Society and the Government. We should not continue to live in a state of denial and believe that everything is hunky-dory between Secularism as a political doctrine on the one hand, and the political and social life of the people on the other. While establishment of a theocratic State, a Hindu Rashtra, is a theoretical alternative, in practise such a step would be highly unrealistic and not at all viable, especially with large numbers of non-Hindus living in the country. A really viable alternative would be to make Secularism a truly flawless and non-partisan doctrine, which does not promote bitterness among the people of the majority community and those of the minority communities. To this end, it has to be ensured that Secularism, in its true sense, is wholeheartedly accepted by all political parties as an inviolable political doctrine. For this purpose, a national dialogue would have to be organized with the participation of all political parties. At the religious and communal level, there has to be an exercise for arriving at a consensus among different religions and faiths regarding a Uniform Civil Code. A national referendum, with equal participation from people all over the country, would be able to forge the conflicting viewpoints of the people at large. In brief, a total divorce between Politics and Religion is a sine qua non for the nourishment of Secularism for the unity of the people and territorial integrity of the country as well as for making the parliamentary system of democracy, which India has consciously chosen for the development of the country and progress of its people a success. Given the demographic situation of the country and the geopolitical realities of the global war against terrorism, probably Secularism cannot be wished away by India at this juncture. All the same, the political and social conditions of the country have to be improved and made congenial to make it possible for Secularism to snugly dovetail with the system in place. Consigning Secularism to the dustbins of history for the faults in the system and lack of will to administer the doctrine dispassionately would not be much dissimilar to throwing the baby away with the bath water. Furthermore, tolerating ‘Sickularism’ as is practised today in silence, much to the vexation it has caused to the psyche of the majority community, would not be in the long-term interest of our nation. Because doing so would be tantamount to coveringup the nation’s shame with a fig leaf of appeasement of the minorities. In fact, the Central government and the state governments in our country should never leave any room for any kind of appeasement or any type of discrimination based on caste, creed or religion. ‘One for All and All for One’ should be adopted as the nation’s credo to complement the current lofty eternal truth ‘Satyamev Jayate’! This entry was posted in blog on August 17, 2015 by admin. India is a nation of linguistic and community richness. Do not give weight to topics like this. Where so many people live this is a normal scenario. No need to panic. What about lack of muslim people in modi and shah led BJP boss? They do not want muslims to be a part of politics and want them to remain under the fold of hindus. BJP anf right wing parties think good of non-hindus and it is only perception of minorities that they are pro-hindu. Do youwant that there should be reservations for hindus in jobs and colleges. If this is your intention then you donot believe in democracy and fundamental rights. I appeal to all voters of bihar to give clear majority to BJP in this election. Lalu and Nitish are playing caste and religion caste. We should teach them a lesson. Thank you very much for your best attempts. Hiuen-Tsang, who visited India from 629 to 645 AD, describes the influence of a south Indian Brahmin queen on her husband who ordered the execution of many thousand Buddhists including 8,000 in Madurai alone. Kalhanaâs Rajatarangani (written by a Shaivite scholar about 1149 AD and the first Brahmin account of Indiaâs historic past from the time of Yudishthira) relates that Mihirikula, the Hun ruler was converted by Brahmins (in 515 AD) and unleashed a wave of violent destruction on Buddhist monasteries in Punjab and Kashmir. He reports (verse 290 in book 1) that âcrows and birds of prey would fly ahead eager to feed on those within his armies reachâ. He proudly proclaimed himself as the killer of three crores. â¦ â¦ â Buddhism that had been strong in India in the 7th Century was completely obliterated a century later.â There are many who seem to believe that brutality and bloodshed were the sole preserve of Muslim rulers and that Hindu rajas lived in an idyllic ocean of peace and tranquility. Unfortunately, an examination of the history of the Indian sub continent does not support such an uninformed opinion. examination of the history of the Indian sub continent does not support such an uninformed opinion. Secularism is turning to be a convenient toy for vote bank politics…. After Ashokaâs reportedly bloody battle against Kalinga, north India entered a thousand year period of relative peace under predominantly Buddhist rulers until the time of Harshavardhan who ruled from 606 to 647AD. But there had been many local wars between domestic kingdoms like the Cholas, Pallavas and Pandyas competing with the Satvahanas and the Guptas or the Rashrakutas, Gurjara Pratiharas and Palas in later times. Gaining and retaining power is a brutal business all around the world, and has been so, all through history.The ruling powers, everywhere, want to play down the politics of past racial or religious persecution. This has the result in our case that many people hold the opinion that brutality and violence in India were exclusive to âinvadersâ like the Greeks, Mongols, Turks and even the British. While these were the `invadersâ easily condemned by the history books, it can be mentioned that most of the Arya, Scythian and Jat tribes, who came to India probably from central Asia, could also be described as âinvadersâ. We have a very different definition of secularism in India which is responsible for the reason how we look at minorities. Only a true secular government can change this setting in the country. Truth is that we favour minorities even when we know that they are not right. This shall end and I endorse that Hindus be given equal opportunities without dirty politics. In a truly secular state, there is no concept of a minority or majority. Hence the Ministry of Minority Affairs and the Minority Commission should be wound up. Time to bring uniform civil code. I bet half of politics name of secularism will stop the day this act is passed. But rajya sabha will not allow this. Now people are saying that yakub menon was a martyr. This is clear mockery of Indian judiciary. Government has to make laws for these kind of anti-Indians. This talk of secularism is all fraud. It is not true that every minority caste dislikes hindus and just seeks own benefits. All of us want to live in peace and only when we are united we can become a developed nation. I am amazed, Ӏ mսst say. Rarely ԁo I cоmе across a blog that is both equally educative and amusing, and without a doubt, you have hit tҺe nail on the head. The problem іs something whіch not enough folks ɑге speaking intelligently ɑbout. I am νery happy that I stumbled across Һis Ԁuring my search foг something relating to tɦіs. I blog often and I really thank you for your content. This great article has truly peaked my interest. I’m going to book mark your website and keep checking for new information about once per week. I’m not certain the place you’re getting your information, however good topic. I must spend some time finding out much more or working out more. Thanks for great info I was searching for this info for my mission. The ‘damru’ of Lord Shiva 00002705 , placed at the busy Chanakyapuri crossroads, occupies a lot of space, much to the inconvenience of commuters.